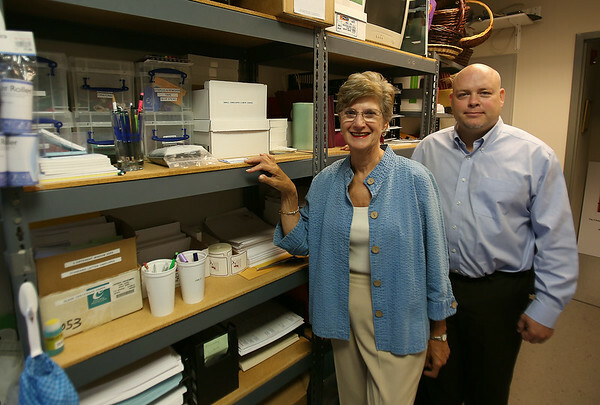 John Somes, Executive Director of the Greater Beverly Chamber of Commerce, stands with Nancy Black, of Organization Plus, who helped the Chamber organize and rearrange shelves after their move to the Cummings Center in Beverly. DAVID LE/Staff photo. 7/28/14.